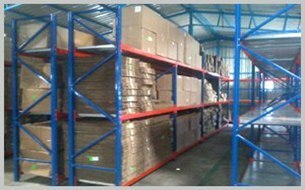 AccutecTM Storage Solutions (P) Ltd.
ACCUTECTM have pleasure introducing ourselves as one of the best Consultation Service providers for Over more than 3 Decades of experience in the field of "Slotted Angle Storage Systems, Pallet Racking, Compactors (Mobile Racking Systems) and Racking Warehouses". 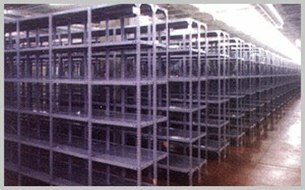 Accutec plays a very key role between the Manufacturer & the end user by solving Storage problems & giving storage solutions like: Heavy and Light Duty Racking System made out of cold roll/hot roll formed section, which can take a uniformly distributed maximum load per shelf by use of modern material handling equipments. We design the system as per the customer needs with the available space. We understand they have a very good designing team, which is dedicated to get you a Cost effective & Space utility Storage System form the manufacturer. ! The Materials were as per the requirement & design given by Accutec. The Co. Is very supportive & Should try their Services to get a good deal & Storage Solution. ! 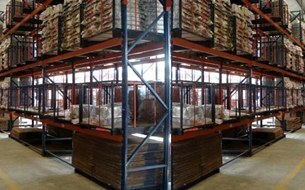 Accutec Storage Solutions (P) Ltd. Copyright © 2016 Accutec Storage Solutions (P) Ltd. All Rights Reserved.